Another place to visit this school holiday! 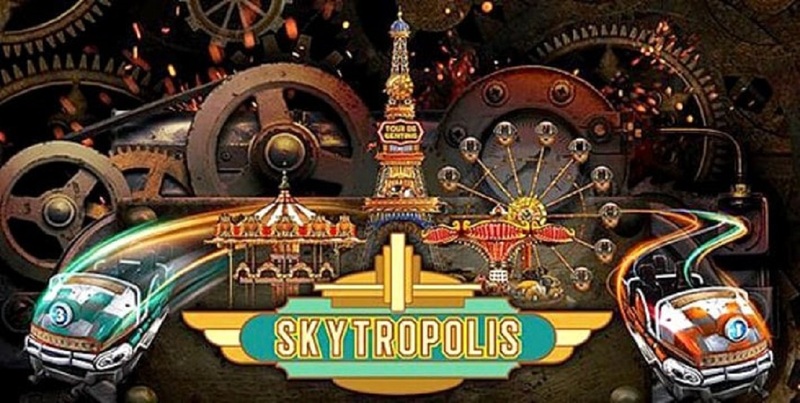 Resort World Genting SkyTropolis Indoor Theme Park is set to preview this coming December 8th! With a total of 24 rides for kids and adults alike, the new SkyTropolis Indoor Theme Park in Genting Highlands consist of indoor roller coasters, kids rides, themed shopping, and more! Located on the second floor of First World Plaza, it replaces the previous First World Indoor Theme Park, which closed for renovations in April 2017. Among all the attractions available, there are 6 rides that have been the talk of the town, which are Stormy Voyage, a massive indoor swinging ship; Copper Express which is an open top classic train ride experience; Space Cadet, a controllable ride that spins from bottom to top; Jumping Spurs, a mini jumping tower for children and kids; Ride ‘Em Round, a classic merry go round ride for all ages; and last but not least, Whirly Bugs which is basically a gigantic bugs spin kids on a carousel. Other than the rides, you can also check out the nearby fun attractions like Jurassic Research Center and Zombie Outbreak. Believe me, you’d spend hours in these attraction. Ticketing details are available here.